Fly Solartech is ready to set off on a new adventure: this time we are in the company of the skipper Francesca Komatar. Francesca was born in 1986 in Muggia, a seaside town near Trieste. Growing up in an environment where the aim of the sea is very powerful, she started developing her passion for the sea and for sailing. From the beginning of her sailing carreer, she succeeded in obtaining great results locally and nationally on board her Optimist boat. In 2000, she decided to enhance her skills starting using bigger boats and taking part at the Women’s Snipe World Championship, where she won the world junior women’s championship. Thanks to the numerous successes, Francesca worked with dedication and perseverance to improve her ability in sailing by competing in numerous championships and taking part in every regatta of the Italian circuit. She was rated high in national women’s ranking lists and won several national titles, until she decided to aim even higher joining the Olympic Games. 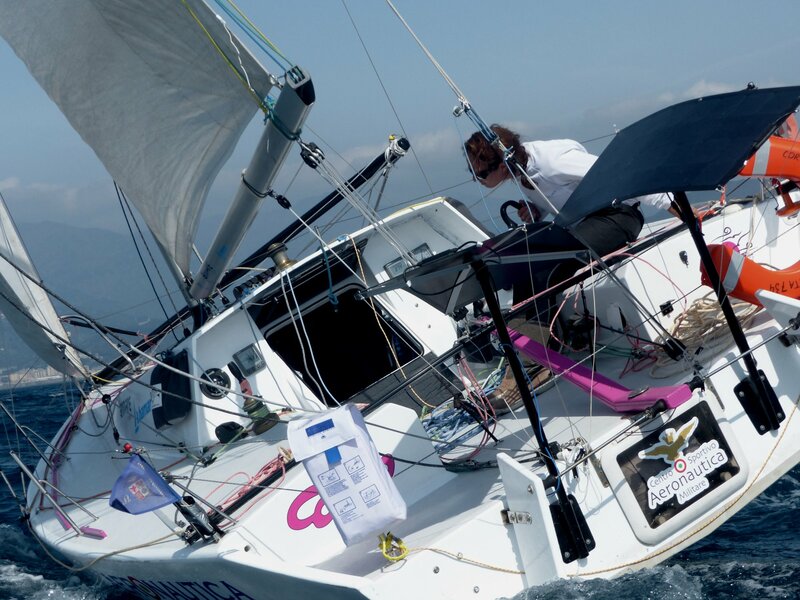 Francesca wanted to partecipated in the Olympic Competition in the 470 class for the double-handed dinghy as a wheelman, hence she had to increase her efforts even more both at sea and on land, in order to achieve excellent goals even at world levels. In the first months of 2018 she prepared a new boat, the proto “Corto” ITA 734, with which she will face the qualification for the Mini Transat 2019. This competition is an arduous journey, as it consists in a transoceanic crossing of about 4000 nautical miles, departing from the port of La Rochelle in France, stopping in Gran Canaria (Spain) and finally arriving on the Caribbean coast of Le Marin in Martinique. The whole trip will be on board a boat of only 6.50 meters, without any contacts with the mainland and having only a location GPS and a VHF radio. With great pleasure and honour Fly Solartech will accompany Francesca during this long and huge undertaking. In order to be energetically independent, Francesca will use on board three semi-flexible 7-layer photovoltaic panels generating of 100W each. 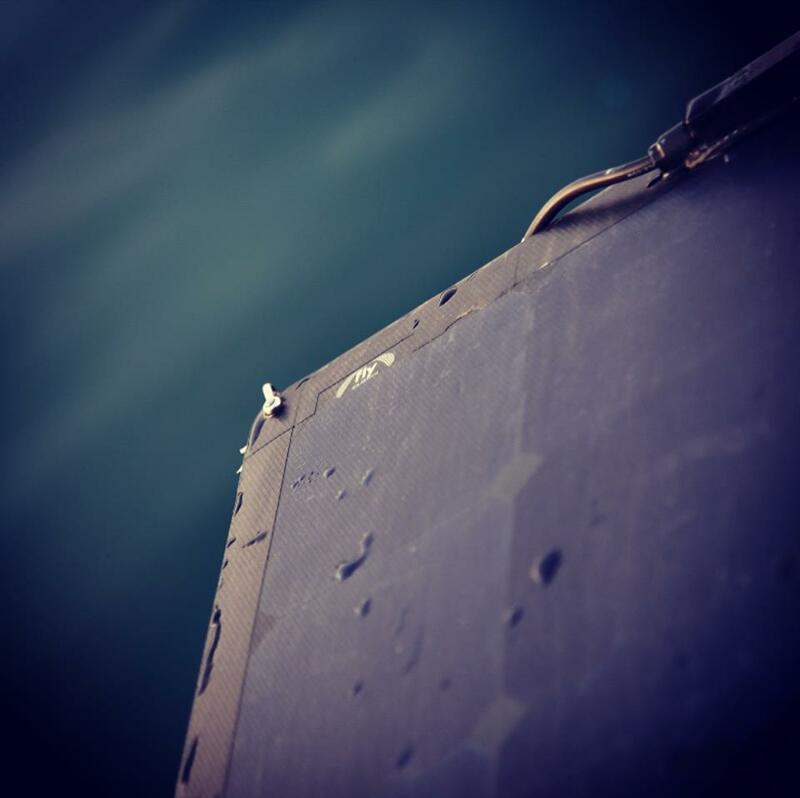 This particular type of panels has been designed to withstand high temperatures, chemical agents, electrical surges and highly energetic radiation, while maintaining high efficiency. They are characterised by a layer made of ETFE, which is a plastic polymer based on fluorine that permits to have excellent chemical and mechanical resistance and is also anti-reflective. These panels seek to achieve even better performances thanks to the high-efficiency of the SunPower photovoltaic cells. Fly Solartech will follow Francesca Komatar in her future adventures, support her in challenges with all the energy she needs and invites the readers to find out more about her by visiting her website www.francescakomatar.it.